Chatbots, computer programs that simulate conversations, are revolutionizing the way businesses communicate with their customers. With revenues measurably increasing and customer loyalty strengthening, they are becoming an integral part of business operations. 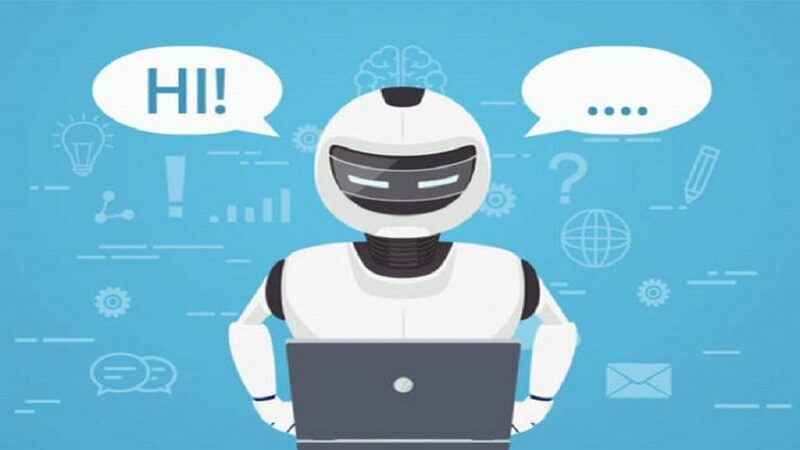 They are one type of artificial intelligence delivered through a software application for the following purposes: task performance, learning, financial transactions, shopping, problem solving, etc. They are activated by natural language input via text or voice. Cloud computing is the primary category of Software as a Service (SaaS) and offers dependable language functioning. A third party hosts the app that is available to customers over the Internet. Chatbot Development started in the 1960s. The first one, ELIZA,was designed by Joseph Weizen, MIT professor. Later, it influenced gaming in the 1980s. In 2009, China had a more sophisticated version, WeChat. Chatbot Development is easier to implement because of open source code. Slack and Telegram are examples of bot technology. Facebook”s Messenger have helped costs increase beyond projections. Bots provide FB with an understanding of how consumers use brands and content. Since 2007, Your text to link…Facebook’s bots have handle sales and customer service. Sephora is the first cosmetics retailer to use bots. The Sephora Reservations Agent books appointments and the Sephora Virtual Artist uses photos to match Sephora’s vast offerings. Sales and books have increased over 10 percent. Investors gave $8 million to the hotel booking venture that uses SMS text and Messenger. Hotel bookings increased $1 million in less than 12 months largely due to Messenger bots. Hilfiger saw almost 90 percent return rate for customers choosing to engage with a bot. TMY.GRL was Hilfiger’s first attempt in the specialized arena. Via Faxebook’s Messenger, TMY.GRL uses personalized options that demonstrate an understanding of the level of engagement customers expect. Intelligent agents do have drawbacks. Researchers have found that profanity and shorter messages mark the conversations between people and agents. Discrepancies in content and quality are also noted. The possibilities for conversation agents are limitless. In classrooms all over the world, teachers are employing Intelligent Tutoring Systems (ITS) to maximize learning. ITSs adapt to individual learning. Furthermore, in an Open Learner Model, the system reveals the user’s knowledge. Self-directed learning is a preferred method. If you are trying to learn a language, it can be challenging. Foreign Language Learning (FLL)addresses the typical hindrances such as time restrictions, practice opportunities among classmates and even shyness. However, Your text to link…Language,Learning & Technology reported, “They are generally felt more comfortable conversing with the bots than a student partner or teacher.” Chatbots give students the chance to study virtually on their own time. Gartner predicts that 85 percent of engagement will not happen between person to person. Completing forms on a website has become obsolete. Instead companies in finance, banking, human resources and even the legal field will offer a variation if GWYN, Gifts When You Need. GWYN uses an IBM platform like Watson to help you pick the perfect gift. She gets smarter based on previous purchases. Automated messaging is one of the hottest innovations in the artificial intelligence space. Accurately interpreting consumer habits is not easy. Being able to peek inside the customer’s lifestyle to come up with the next big thing is invaluable.